I am a teensy bit jealous of anyone that can use chopsticks. 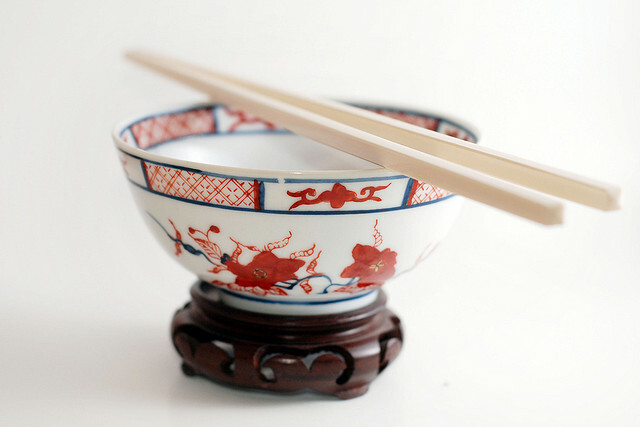 For me, the Chinese etymology of 'nimble ones' makes chopstick a complete misnomer - were they called fumble sticks, or slippery duck sticks, or surefire way to look like a total div on a date sticks, that would be perfect. But 'nimble ones'? No. I'm afraid not. As much as I've tried, failed and embarrassed myself by giving up and sheepishly asking for a fork halfway through my meal, I'm resigned to the fact that using chopsticks is one of those life-skills I'm just never going to have. Are the 'nimble ones' nimble in your hands? Would you be willing to offer me one-to-one tuition in the use, nay, art of using chopsticks? Do please stick your chops into the comment box below. Ahhh! You just made my day Eddie! I thought I was the only one who was unable to use those fumble sticks (best name ever!). And people that can use them are soo smug!